The network spanned 1.4 km (0.9 miles) at Deutsche Telekom’s Service Center in Athens, where it could run at 40 Gbps stably with less than 100 ms of latency on the round trip, placing it within 5G’s goals. 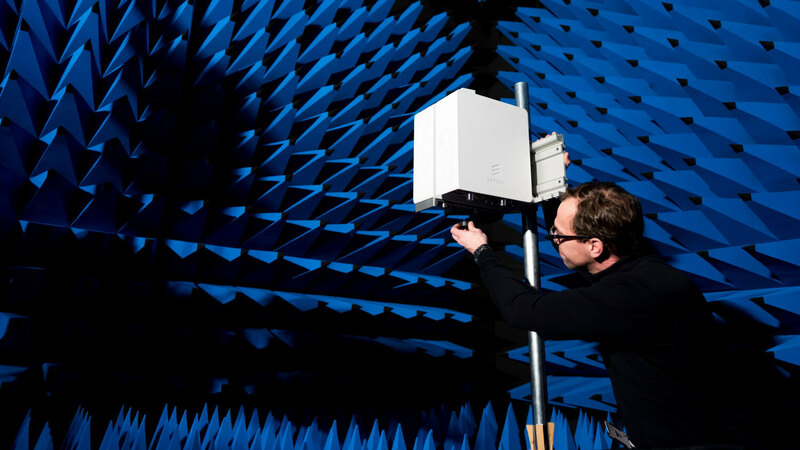 According to Ericsson, this is an “important milestone” towards 100 Gbps 5G networking. A backhaul is a connection between the core network and edge network, and it’s essential for 5G because of its range and signal resilience issues. Edge networks are smaller networks attached to the main one, and they include anything from a home network using a 5G router to a shopping mall with microcells that strengthen the signal within the large building. If 5G were to rely exclusively on a core network with massive cell towers, you’d be able to see several while looking out the window. If 5G had to backhaul to edge networks with fiber optic cables exclusively, it would cost substantially more. Wireless networking systems like what Ericsson is developing are cheaper, faster to deploy and don’t require individual permits. Ericsson has a five-year contract with Deutsche Telekom, which kicked off in December 2017. Ericsson’s senior VP Arun Bansal says that they can deliver a 5G network in that time frame. "We listened to Deutsche Telekom and understood their urgency to have 5G-ready infrastructure in order to stay at the forefront." They'll run 4G on their 5G hardware until it is installed across the entire network, then they'll launch 5G with the flip of a switch sometime in the next few years. Imagine having a device that can listen to all of this wireless traffic, decrypt and display it clear text/voice. Something like that room in batman's movie where he can see everything in the city going on. The feeling of power it could give someone with such ability! Almost feeling like a god looking down on peoples social life. educational reasons to study human psychology. So, Bruce, how much do you expect your new batcave mod to cost? Under 100ms? fiber backhaul is under a few ms. dont expect to game on a 5G connection with this. Careful, we’ve got a 5G conspiracist in out midst, or the world might end today.